It would be an understatement to suggest that Klopps sentiments are echoed by the majority of United fans, as we collectively scratch our heads in disbelief at the lack of opportunity he has been awarded thus far. Shinji came to United with quite the reputation having become a central figure in the exciting Dortmund team that had broken the Goliath like dominance of Bayern. With a youthful exuberance and attacking brand of football that made the whole of Europe stand up and take notice, Dortmund took home two consecutive Bundesliga titles and a DFB-Pokal (German FA Cup) in two years. Shinji was the central figure, the catalyst, the main man. Playing in his favoured number 10 role, he quickly became their most influential player and with his nimble feet, technical ability and creative style of play he quickly endeared himself firmly as a fan favourite. Still to this day, Dortmund fans sing his name, akin to the Viva Ronaldo chant that can be heard echoing around Old Trafford. The recent social media campaign entitled “#freeshinji” began trending worldwide as Dortmund fans attempted to collectively force the club into “bringing him home”, while the departure of Gotze saw Shinji unanimously top a poll on who Dortmund fans would like to see replace the young German, with 33% of the votes. However, it wasn’t just the Dortmund fans who had taken notice of his undoubted ability. The rest of Germany was beginning to realise that the slight Japanese maestro was the real deal, and what he lacked in height, he made up for with a cunning eye for goal and technical ability only rivaled by Inesta, Silva and the likes. He was named in the German team of the year in his debut season, despite missing the entire second half of the campaign with a foot injury and upon being named Bundesliga Player of the Year (Budesligafootball), he was target by a number of Europe’s top clubs including Arsenal, Milan, PSG and of course United. United won the race for his signature and at relatively modest fee of £14m, potentially rising to £17m. 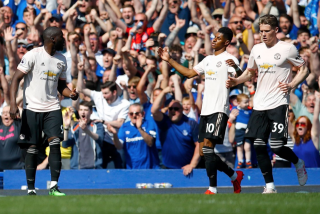 Any qualms over the signing – strangely people questioned the signing as a marketing ploy to break into the lucrative Japanese market, where quickly put to bed as he was by far and away Uniteds best player in the maiden game of the season, despite a disappointing away loss to Everton. Shinji constantly looked for the ball, he picked up great positions between midfield and defence and he confidently took the ball in tight situations. I was excited; he looked like the player we had been missing along, the dynamic tranquesta that could unlock the tightest of defences. Unfortunately though, injury curtailed his season. Missing the best part of three months due to a knee injury his form coincided with that of a man who could not regain match fitness because of an inherent loss of form. Despite glimpses of his undoubted brilliance, most notably is hat-trick heroics against Norwich, his debut season can be described as slightly underwhelming. Alluding to Klopps quote above, it is obvious that Shinji has rarely played in his favoured position of just behind the front man; instead he has been accommodated on the left wing, detrimentally limiting his ability to impose himself on the game. However, this a role played by Rooney and despite what one may think of our current number 10, on his day there are few better. Therein lays the problem, two world class players vying for the one position. This problem, if it can actually be constituted as a ‘’problem’’ is that both players need to play regularly in order to maintain a certain level of match sharpness, a prerequisite for such a dynamic role. So why did Sir Alex sign Kagawa? 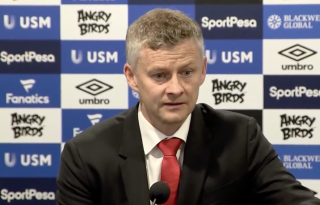 Was it to play as what I would call a “contemporary winger” e.g those wingers who tend to cut inside as opposed to go down the line, ala Silva – I very much doubt it as Ferguson’s teams where built on the notion of width and expansive counter attacking play. My theory is that Shinji was in fact signed as our new number 10 (not the actual number) but instead to play behind our current number 10 – confused yet?? Basically I believe Shinji would have slotted in just behind Rooney and this was the plan all along. However, when it became apparent that there was an actual real possibility of signing Van Persie, an opportunity that we couldn’t let pass, Shinji’s position in the team was ultimately now being challenged by Rooney who having scored 27 goals the previous season was recognised as un-droppable. Could it of been that Ferguson’s acrimonious fall-out with Rooney was based on the belief that it was in fact Kagawa who would be the focal point behind RvP for the future. It’s not an overly audacious shout, in fact it’s a distinct possibility considering it was Kagawa who played the number 10 role, in arguably the biggest game of the season in the Bernabeu. However, what is surprising is the lack of game time Shinji has been subject to so far this. Okay let’s not get carried away, we are only two games in, three including the Community Shield, but a twenty minute cameo in Wembley is not necessarily the problem. What is perhaps more worrying is the fact that he has been over-looked in relation to substitute appearances, rarely even being asked to warm up. At first I was one of those who used the excuse of his involvement in the confederations cup and subsequent lack of pre-season. However, the likes of Paulinho and Cazorla were also heavily involved and have since played major roles for their respective clubs, albeit with varying levels of success. To those of whom are questioning Moyes’ role in Shinji’s lack of game-time I would suggest a more cautious approach – as opposed to outright lamentation. Evidently the accommodation of Shinji was a problem for Ferguson, let’s just hope his predecessor can have a slightly more proactive approach to realising his best positioning in the team. 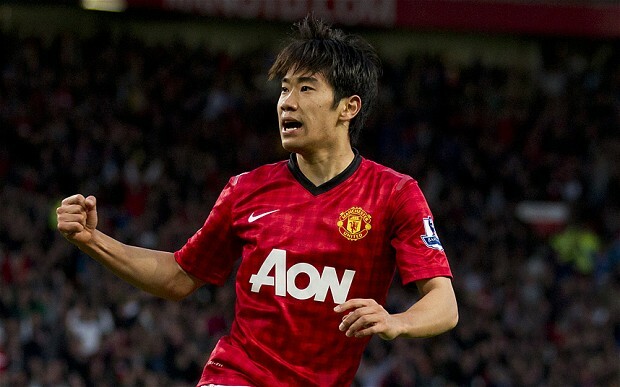 Only Moyes knows how fit Shinji really is, and as such we will have to assume that he knows best. In fact I would go as far as to say that the well documented pursuit of Baines has just as much relevance to Kagawa as it does, Evra. Evra who undoubtedly has been a great servant to the club and despite having one of his better campaigns last season, is suspect defensively when pushing forward. Put simply he doesn’t have the legs to get back as quick as he gets up. 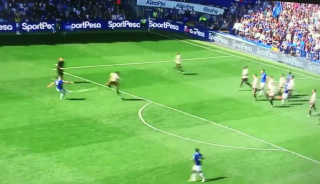 Baines while perhaps not as fast, is a distinctively better deliver of the ball, but most importantly will hold his position and will not leave a gaping hole at the back. 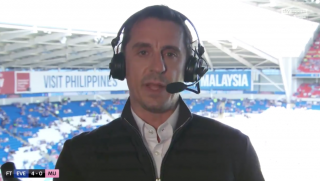 At Everton Moyes put a large degree of emphasis on attacking fullback’s ala Baines and Coleman. This tactic allowed the winger to move slightly more infield ala Pienaar and Osman mainly to ensure space for the respective fullback to run into. This type of role would be made for Shinji who could start out on the left but tuck inside to a more favourable central position providing the fullback with space to run into. It could well be that at the moment Shinji’s lack of defensive qualities, and slight disregard for tracking back, coupled with Evra’s lack of defensive discipline is the main reason as to why he is not playing a more prominent role. It could also be the elusive signing of Baines that inadvertently ignites Shinjis’ season.